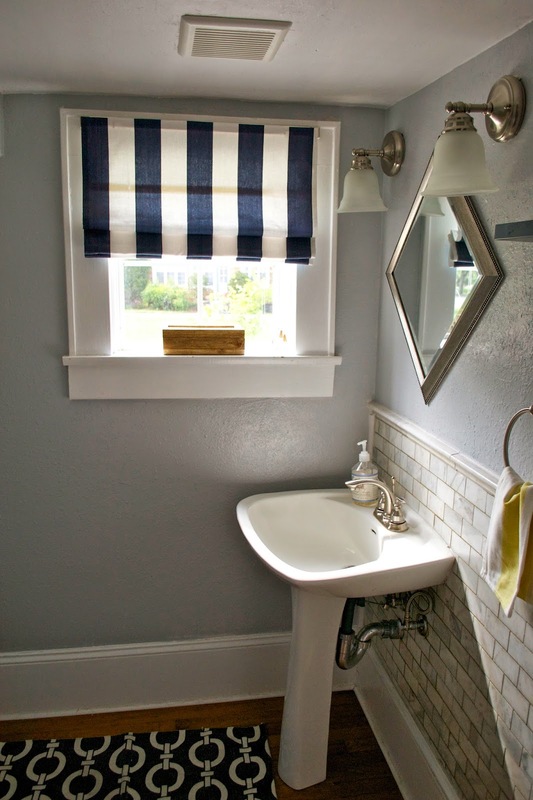 We have about a million different projects going right now all at semi-finished stages so today I'm sharing a simple solution for our bathroom. Since our full bathroom is so close to Will's bedroom, we tend to brush our teeth and get ready for bed in our half bath. Since this is also our main bathroom that any of our guests use, I don't like the idea of our toothbrushes and such just hanging out. To hide our various things, I picked up this little box at Target. It is long enough to hold toothbrushes and fits on the windowsill perfectly. I also love that it brings a little more wood tone into this room. We've been using this solution for about a month now and I love it (and I have had the Weeds theme song "little boxes" stuck in my head for almost as long). 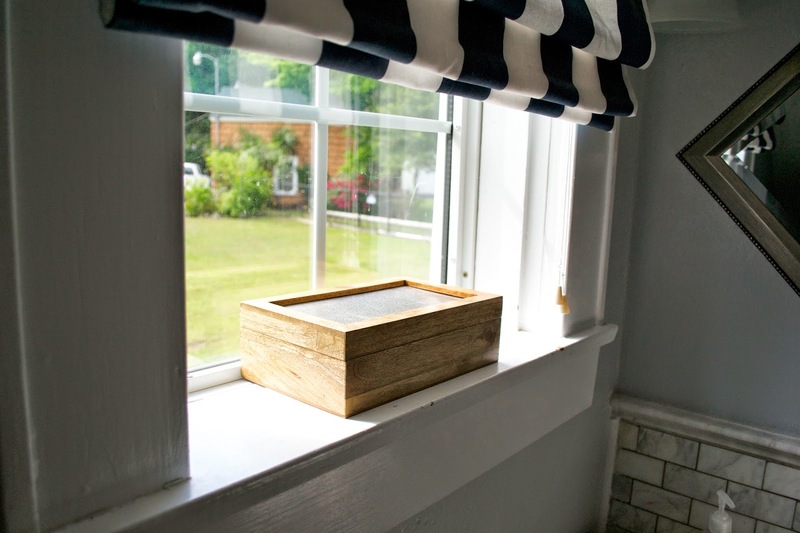 It keeps this small bathroom uncluttered and the box is so much nicer to look at than our bedtime necessities. We've actually been doing quite a bit of work in this little room so we'll be able to share more of that later this week! Yay for getting things done!